Ammonia is a colorless gas at room temperature, stimulating odour.It with alkali and corrosion resistance, easy to absorb the moisture.It can easily be compressed, and pressure to form clear liquid.It is in the form of compressed liquid transportation.Ammonia non-flammable, but will go off at high temperatures. 1. Ammonia used in the manufacture of some dyes for cotton, wool and silk dyeing and refined. 2. Rubber industry USES ammonia to prevent from plant to plant in the process of transportation the stability of natural and synthetic latex, to prevent early coagulation. 4. 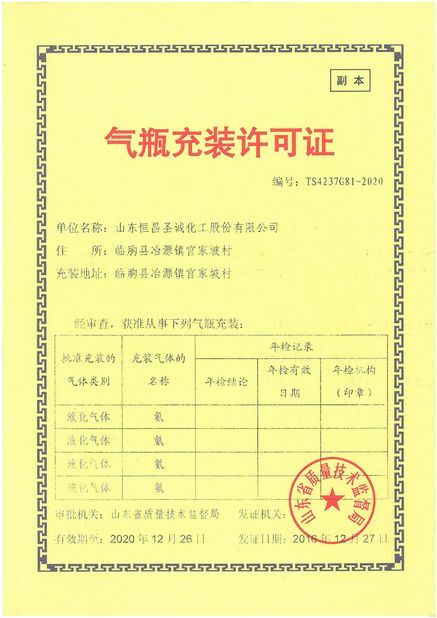 As tanning liquid ammonia used in the leather industry as curing agent, the mucus and mildew preventive agent, as well as the protective agent of leather and fur storage. 5. 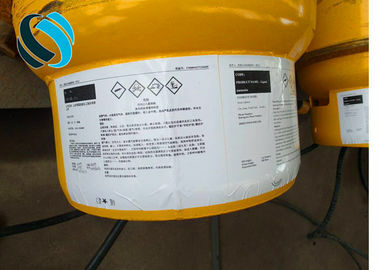 Ammonia is used as refrigerant in compression and absorption system.Some characteristics of ammonia, such as high latent heat, low vapor density, chemical stability, low corrosion resistance of iron parts, promote its use in large industrial equipment. 6. The pharmaceutical industry using ammonia to make certain products, such as sulfa drugs, vitamins, and cosmetics. 7. Oil industry use ammonia to neutralize acid composition of crude oil, and to protect equipment from corrosion. 8. Nitriding steel surface hardening. 9. Cleaning and watertreatment and mining. The pressure is very low when evaporated to produce the temperatures needed for refrigeration. When condenses ,the pressures is relatively low . Ammonia carries much more heat per pound than most other refrigerants, like around twice as efficient as HFC's in this respect. It noncorrosive to metals such as steel, stainless steel, aluminum and bronze. Ammonia has a pungent odor that is easily detected by the human nose (most people can smell it at around 5 parts per million), leaks are easily detected. Ammonia is a completely natural occurring chemical, the human body actually produces several grams per day as a normal part of living. It has a zero ozone depletion potential, and a zero global warming potential, totally benign to the environment. Purity 99.8 % by weight minimum. Packaging Packed in 50 Kg capacity cylinders. Cylinder Dimensions Thickness : 6 mm. Bottling Capacity 200 cylinder per day i.e 10 MT. Professional working team with very good safety control for 20 years without any accident. Rich experienced on hazard chemical exporting. 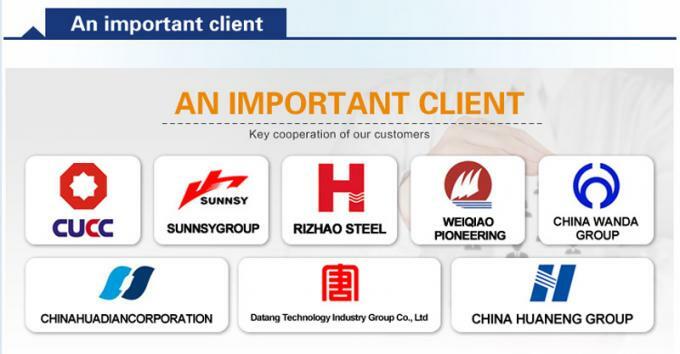 Steel cylinders can be test by our own factory. SGS and CIQ test are acceptable. 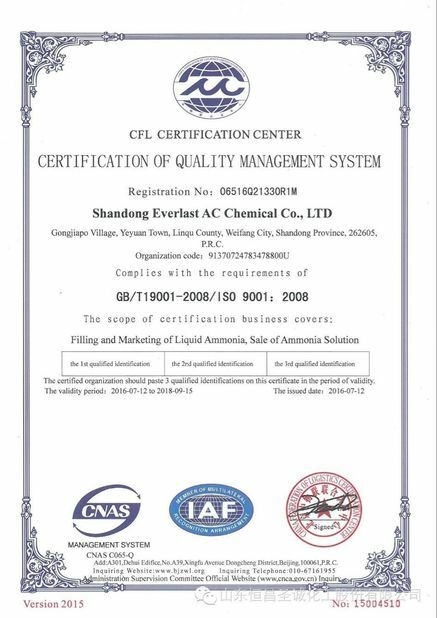 We can provide ammonia water for industrial grade and food grade with 15000tons/monthly and kinids of cylinders and other chemicals for watertreatment.